Program name: Operating Program ‘Innovative Economy’, co-financed by the European Regional Development Fund. Operating Program ‘Innovative Economy’, Priority 1: ‘Research and development of advanced technologies’, Action 1.1: ‘Support for scientific research for development of an economy based on knowledge’, Sub-action 1.1.2 ‘Strategic R&D programs’. The ‘Proteus’ project covers more than five years of work on one of the largest R&D projects in Poland (total budget of more than PLN 68 M), carried out by a consortium of R&D organizations led by the Industrial Institute for Automatics and Measurements (PIAP). Technical and operating requirements for the program were defined in collaboration with the future users (Police, fire departments, emergency management centres). ‘Proteus’ is an operating system composed of interoperating components ensuring efficiency in any type of emergency crisis. Implementation of the project enabled all its participants to develop new unique knowledge to be used in the future for more efficient collaboration with the industry in development of innovative products. 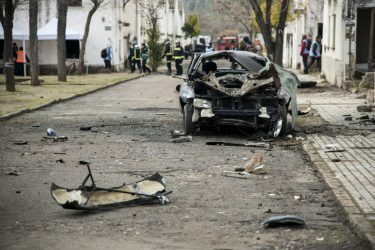 The ‘Proteus’ system responds to numerous challenges faced by services responsible for safety of the population: violent weather phenomena, floods and even terrorist, chemical and biological threats. Each device incorporated in the ‘Proteus’ system plays a strictly defined role and, at the same time, remains an integral part of the system. 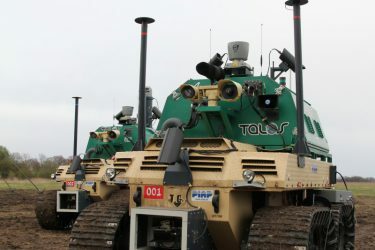 Components incorporated in the ‘Proteus’ system have been already put in service in rescue services and by the military but combining them into a single operating unit is a world-scale innovation. The Mobile Command Centre is the central part of the system. It is the Centre that makes decisions concerning operations, based on captured and interpreted data. 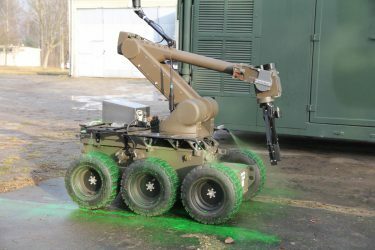 Data is uploaded to MCC both from external sources and from the remaining components of the system: one UAV and three mobile robots that, in addition to the reconnaissance function, play a key role in interventions, eliminating threat to human health or life in operations serving to neutralize threats or transport hazardous materials. 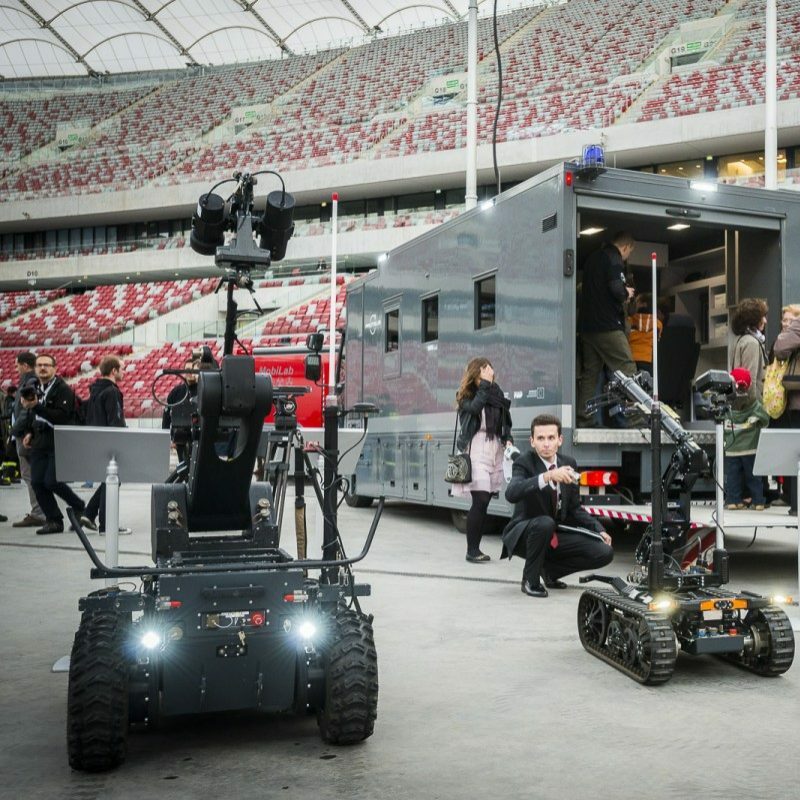 According to the assumptions, ‘Proteus’ is intended for Polish intervention services: fire brigades, Police, Border Guard and emergency management centres. 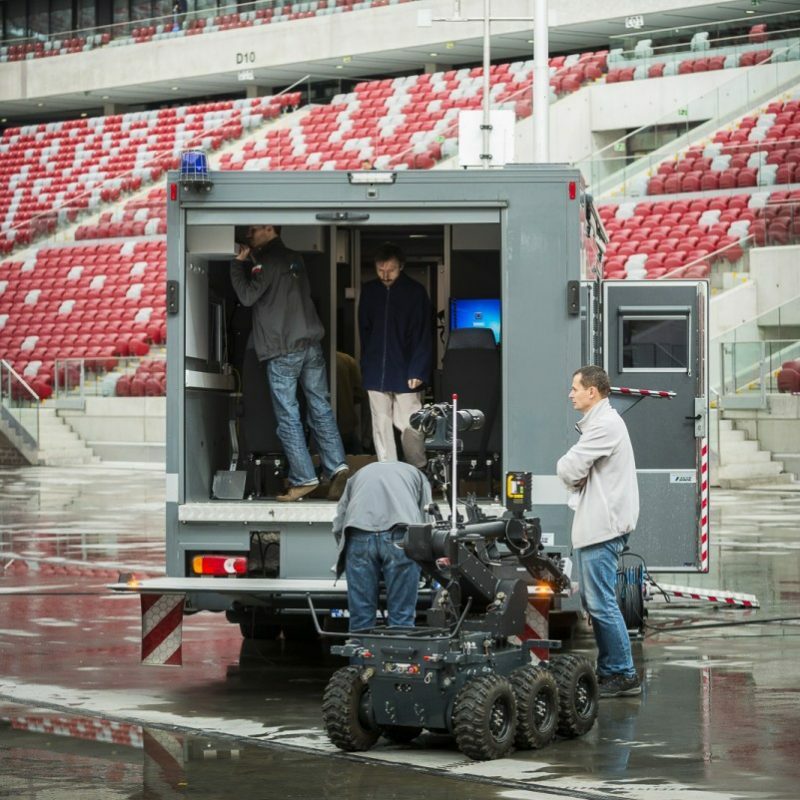 The project concluded with construction of a demonstrator of the system that was presented on the National Stadium in Warsaw in September 2013. The stimulated rescue operation enabled evaluation of efficiency of the integrated system. The authors had an ambition to build a demonstrator of the system of a structural and technical level of advancement enabling development of a fully operational prototype of the ‘Proteus’ system within a short time. Results of the ‘Proteus’ project can be also used for developing specific solutions and products for support of operations of services responsible for public safety. The ‘Proteus’ project has been finalized thanks to co-financing by the European Regional Development Fund as part of Operating Program ‘Innovative Economy’ for 2007-2013.